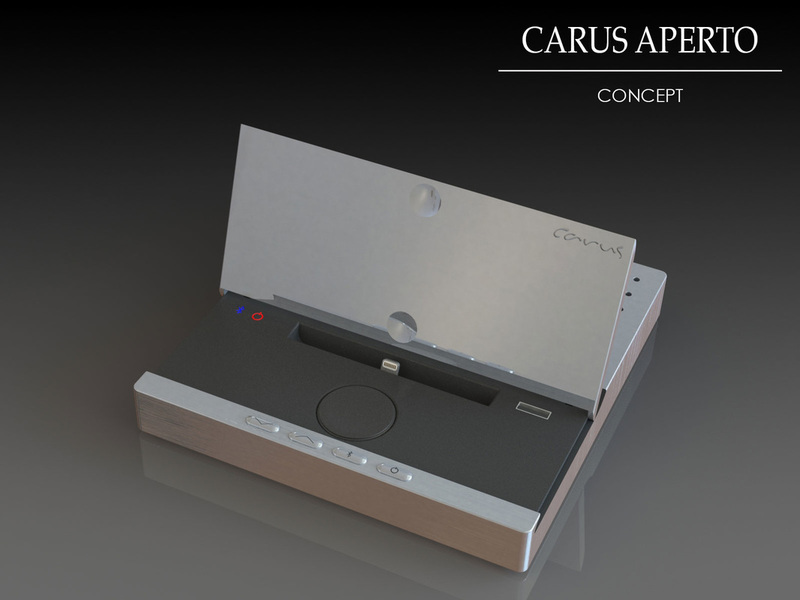 The Aperto concept is a docking station designed to accommodate both an iPhone and an Apple Watch. 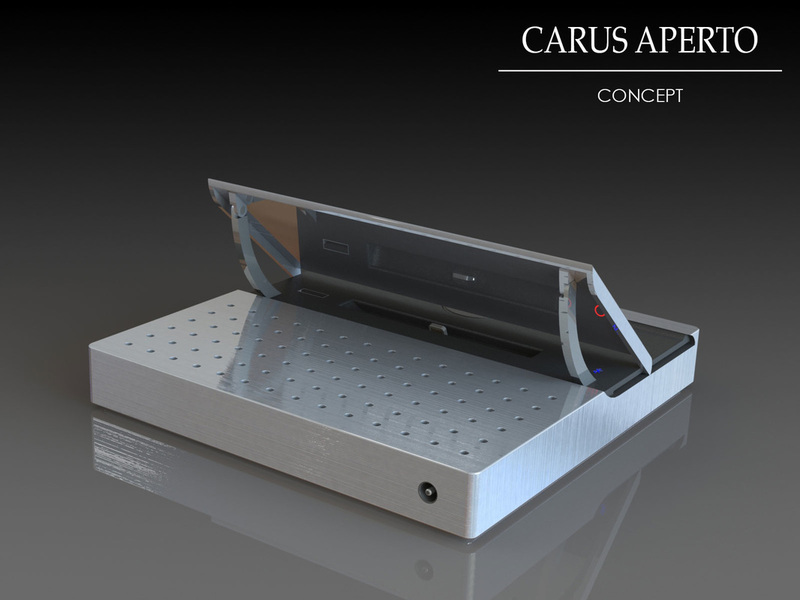 This concept aims to combine several functionalities in a sleek device while preserving the Carus design language. Compact footprint: 15 x 15 x 22 mm. 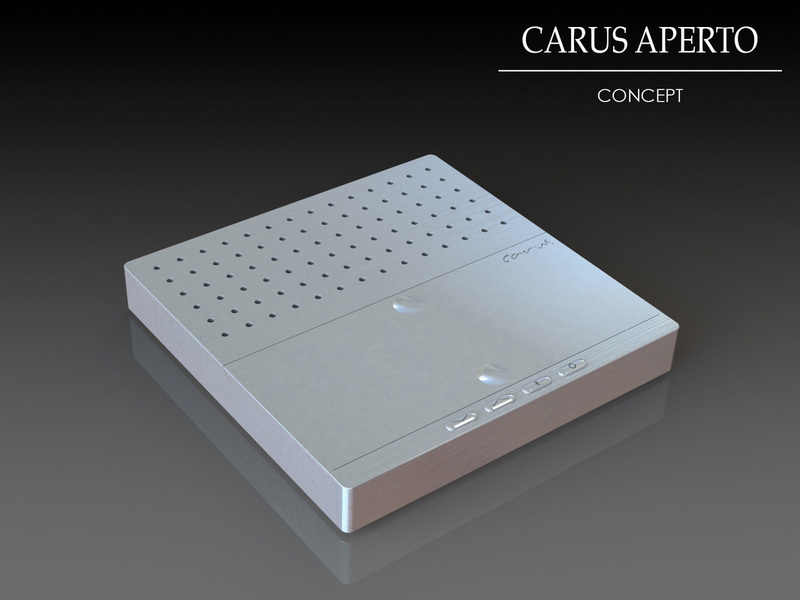 Carus design language: machined aluminum, 3mm fillets, distinctive speaker grille. Docking area concealed when not in use. Smooth opening mechanism at the push of a finger.